With the Powerball jackpot swelling to the second-largest prize in history, it’s easy to get caught up in daydreams of winning that $650 million. Whether you’re fantasizing about quitting your job and traveling the world or even buying your own private island, you share your dreams with countless other lottery hopefuls. What many people don’t think about, though, is how winning the lottery could seriously put your security at risk. 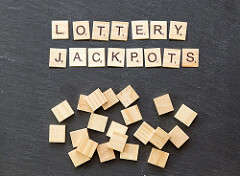 While winning a huge jackpot could certainly help you put all your financial woes behind you and live a life you’ve always dreamed of, it could also compromise your security in ways you’ve never even imagined. A sudden influx of a lot of money will change your life in just about every way you can imagine. Even if you don’t win a huge jackpot, your entire situation could change. When several changes take place all at once it’s often difficult to keep track of everything that is going on in your life. This alone could be enough to make you a bit vulnerable. You may not pay a lot of attention to security now, but if you win the lottery, you’ll never to think about things that may have never crossed your mind before. Even if you try to keep your win quiet, people are likely notice, and you may find yourself suddenly thrust into the spotlight. Suddenly, things like remembering to lock your doors and windows will become more important than ever before. If you are fortunate enough to bring home the jackpot, take steps to protect yourself. Try to keep a low profile, and share your good news with as few people as possible. Invest in home security, and take time to learn more about how to improve personal security. Protect your cash, and don’t carry large amounts with you. Most importantly, pay attention to the people around you. As people find out about your good fortune, you’re likely to discover a lot of long-lost friends and relatives. Make yourself aware of the people who are in close proximity to you, and do not allow anyone to become a potential security risk. Winning the lottery would be a dream come true for just about everyone. If you happen to be the lucky one whose numbers are drawn, don’t let your big win become a nightmare. If you need help improving your security, contact the experts at Colorado Security Products today! Call 303-756-1000.